Please Note, candidates applying, MUST hold the NRSWA accreditation to be considered. We are looking to recruit a Civils Team Manager, covering the North West area working on an initial 6 month direct fixed term contract. Paying £25-30k per annum + car, fuel, phone, laptop, holidays. You will be responsible for the day to day management of a team of civil work operatives ensuring KPIs and SLAs are met. The ideal Team Manager will have proven experience of overseeing and managing the delivery of civil work activities (excavation, backfill) and will hold the NRSWA accreditation (This is essential). Initially to cover a 6 month period this role provides the opportunity, for the right candidate to secure an extension or in fact a permanent role off the back of the initial contract. -Escalate relevant issues and observations to Regional Operations Manager. -Liaison with local authority agents and other third parties as part of job planning and execution. -Daily interface with Job Controllers and Noticing Dept on job updates i.e. job departures, work completions, extensions etc. -Monitoring and relay of major design/cost work package variances to Field Operations Manager. -Continuous tracking of gang production, material and plant hire usage. Work closely with Plant Administrator, ensuring plant hire procedure is adhered to. -Carry out regular in-progress and retrospective checks with teams to ensure their work is being carried out in accordance with Quality and Health & Safety standards. -Ensure accurate completion of all paperwork in job packs and signing off quality certificates. Complete as-built drawings for direct labour (where applicable). Check, stamp and sign as-built information for sub-contractors (where applicable). -Ensure teams complete daily site diary. *This role is subject to a satisfactory Security Clearance check and must hold a Valid Driving License. The Civils Team Manager will work for a global telecommunications company, covering the North West area. The Package Paying up to £30k per annum plus car and fuel, laptop, phone, holidays + benefits is working on an initial 6 month direct fixed term contract. Package includes fully expensed company vehicle and fuel, laptop and phone. 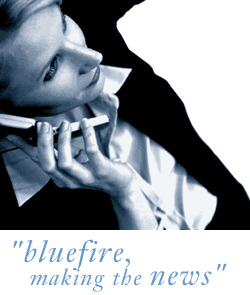 Bluefire consulting is an employment agency acting on behalf of our client.